Once upon a time, in Warsaw, VA, I was researching all the different types of pool filters. I started with cartridge filters, and they made sense. When the spec sheet said, "Effective filtration area," it meant it. The filter took care of however many square feet of surface area the pool had. It filtered that area. Got it. The D.E. and sand filter spec sheets ruined my day. When the "effective filtration area" was 6 square feet, the filter processed 57,000 gallons of water in 8 hours. Obviously it's not for the world's cleanest bathtub, so what gives? What is the filtration area supposed to mean? Not to worry, my friends. I enjoy research, and I'm here to help. As a reminder, the pool pump pulls the water through the skimmer until it reaches the pump, then it pushes it up to the filter, and back out into the pool. A full circulation (or turnover) of your pool water usually takes about 8 hours, depending on your pump/filter system and the size of your pool. 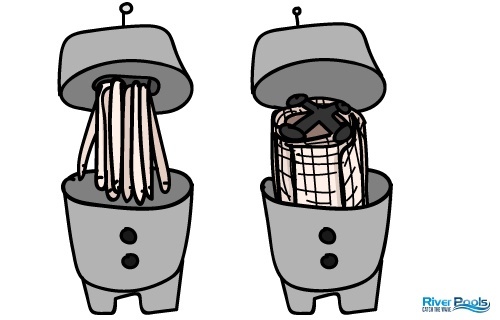 The filter traps debris and dirt, which are measured in microns. Micron is shorthand for micrometer—one-millionth of a meter. Yes, that's 1/1,000,000 meter. Or, if you prefer fewer zeros, it's 1/1,000 millimeter. And how small is that, exactly? So, y'know, a micron is pretty small. What does a pool filter's "effective filtration area" mean? The spec sheets for a pool filter include the "filtration area" or "effective filtration area." Is this the amount of water it filters, or the pool space, or the size of the filter container, or what? The filtration area is the surface area of the filter media itself. Not the filter tank—this isn't "how big is the filter machine next to your pool." The filter media is, specifically, the part of the filter that filters. Why is the filtration area so different for each type? When one filter is "240 sq. ft." and the next one is "5 sq. ft.," my initial reaction is suspicion. Did someone forget a few digits? Or do they mean different things? It just seems wrong. And I couldn't find a clear, concise explanation for the difference. Good news: My goal is to take my past pain and use it to prevent you from having the same pain. 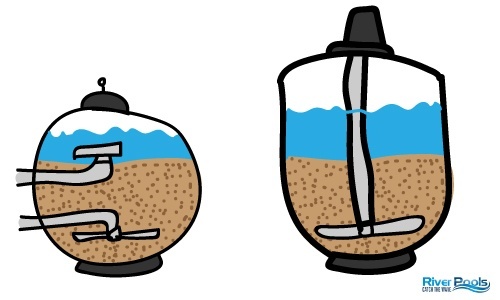 So here's your quick guide to the 3 filter types and their filtration areas! Why do cartridge filters have huge filtration areas? Cartridge filters' "effective filtration areas" are super big—often close to the actual surface area of the pool. This is because the cartridge (the filtering media itself) is a big sheet of polyester cloth or paper—folded accordion-style. It's a lot of material, hence the big square footage. And you'll often have 4 cartridges in the filter at a time. Most cartridge filters have an effective filtration area of 200–600 square feet. Why do D.E. filters have small filtration areas? D.E. 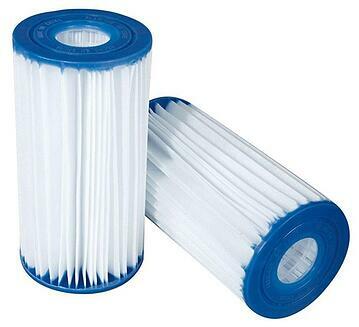 filters' filtration areas are significantly smaller than cartridge filters', although still bigger than sand filters'. D.E. filters use 8–10 filter grids/fingers covered in D.E. powder (diatomaceous earth, which is basically fossil dust). The fingers may look like hanging stalactites or overlapping curved shutters, depending on the model. Most D.E. filters have an effective filtration area of 20–100 square feet. Why do sand filters have small filtration areas? 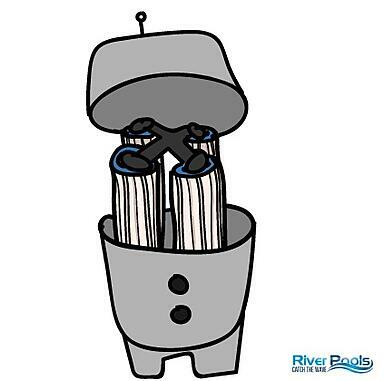 Sand filters have the smallest filtration areas of all 3 types. It's, well, a tank full of sand. Sprocket-y things at the bottom (slotted lateral pipes, technically) disperse water evenly through the sand to catch debris. There's not a lot of actual surface area. This is because there aren't multiple filtering materials pleated and layered over and over—it's more or less just a pile. Sort of like how a beach ball has less total surface area than a bedsheet folded up into the same size. Most sand filters have an effective filtration area of 2–6 square feet. How do I know what filtration area I need for my pool? When you're shopping for a pool filter, yes, look at its filtration area. So how do you tell which ones are the right size for you? Quick and easy tip: Check out the filter's "Turnover Capacity in Gallons" on the spec sheet. You can approximate the correct filter size for your pool by matching the pool's capacity (gallons, of course) to the time (hours) you plan to run your filter every day. How do I prevent my pool plumbing from leaking or settling? Your pool filter is only as good as its plumbing. It can't filter anything if the pipes shift out of place. You need to secure the plumbing during installation. It may move if it’s just run out and left to float in dirt or backfill material. If it’s supported by plumbing straps or if it’s solid and run down to the ground, it won’t move. If you install plumbing correctly in any pool, you won’t have issues. How can you know for sure that your plumbing will stay where it's supposed to be? Ask your pool builder if they install their pools the River Pools Way. 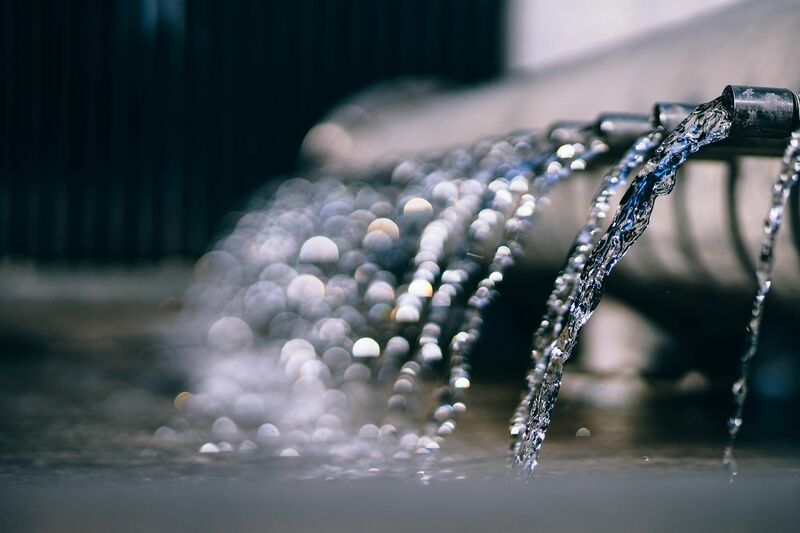 Our advanced installation methodology is a series of best practices that virtually eliminates all leaks because it supports the pool's plumbing. River Pools is based in Virginia and manufactures fiberglass pools for distribution throughout North America. If you would like to find a dealer, or if you live in Virginia or southern Maryland and would like to talk to us about installing your pool, get in touch with us! We look forward to helping you. If you’d like to learn more about fiberglass pools, our ebook provides deeper information about the features and accessories you can get with them. We want to help you make the most of your space and your budget! Editor's note: This blog article was updated on December 14, 2018.